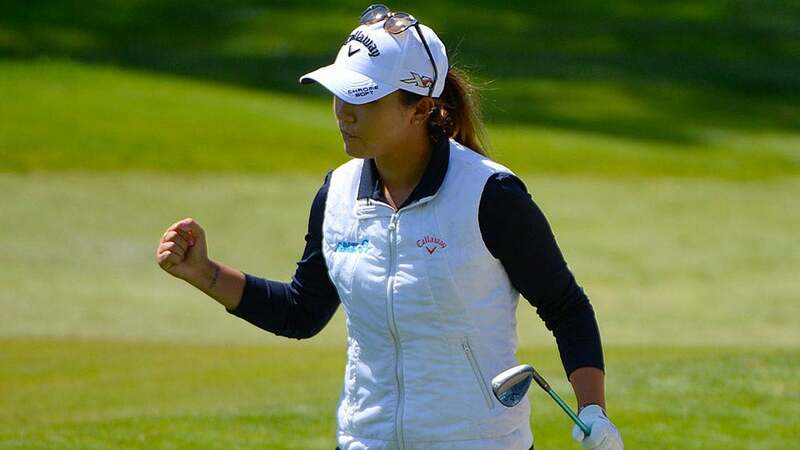 Lydia Ko fired a 67 in the first round of her title defense. On Sunday there was the rousing rendition of Happy Birthday that Lydia Ko received from the gallery lining the 1st tee, and the hilariously dorky San Francisco Giants ski cap Christina Kim wore…with ear flaps. Afterward, when a pixie in elaborate face-paint asked Kim for her autograph, the player insisted on taking a picture of the fan. “Ohmygawd, I love your face paint so much!” Kim said, and it looked as if it might have been one of the happiest moments of this little girl’s life. Not to be outdone, Kang signed autographs in her socks, because she had given her spikes away to a 10–year-old who asked for them as a souvenir. “On Sundays I give away pretty much everything,” says Kang. “Shoes, jackets, gloves, balls…all they have to do is ask.” During the pro-am, Kang pulled a girl out of the gallery and let her walk with her on the back nine. She even let her putt. 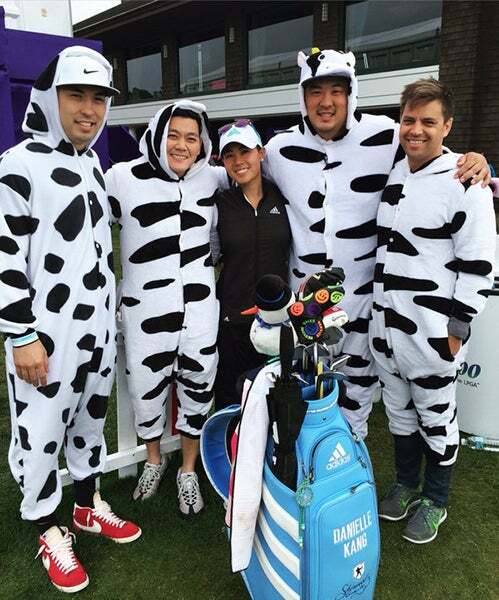 If this pipsqueak holed any, did Kang count it toward her team’s pro-am score? “Heck, yeah!” she said. During the final round, Nomura, a largely unheralded 23-year-old who was born in Japan but grew up in Seoul, put on a rousing display of short-game wizardry en route to her second LPGA victory. No. 1-ranked Ko and No. 3-ranked Lexi Thompson both finished tied for sixth. Lake Merced is in the same part of the world as the Olympic Club, San Francisco Golf Club and Harding Park, and it is every bit as good a test as any of them. With a cold, heavy wind blowing all week, including gusts of 35 mph during the final round, Nomura posted rounds of 65-70-71-73. At one point on Sunday a backward-hatted bro in her gallery sniffed, “I hit it farther than she does.” That’s probably true, but only in his dreams could this dude go nine under in such brutal conditions. That, for me, is a big part of the LPGA’s appeal. When I watch Dustin or Bubba or any of the other freaks on the PGA Tour fly it 350 or hit an 8-iron from 225 yards out I know they are playing a brand of caveman golf I can’t reproduce. But only a handful of LPGA players can overpower a course; the rest must navigate it with precision, guile and strategy. Watching them up close is a master class on course management and efficiency. I’ve made a vow to try to follow this model, not the mindless bomb-and-gouge that dominates Tour telecasts. Most refreshing for this admittedly jaded observer was the good cheer LPGA players extend to anyone who crosses their path. I spend almost all of my time on the PGA Tour, where many players seem to think they’re curing cancer, or doing work even more important than that. Fans, reporters, volunteers, and tournament officials are treated as inconveniences, at best. Golf is a niche sport, and the LPGA is a niche of a niche. Gratitude is an important part of the business model.